I like mint. I like chocolate. I don’t especially like the two together. After some pondering, I think the reason is that mint has a cool taste and chocolate has a warm taste. They cancel each other out into a muddled sensation where neither flavor stands out. Barbara, my barber, keeps a tin of chocolates on her workstation, by the mirror on the counter. Clients can get a choco fix while getting clipped. Sometimes she has leftover Halloween candy, sometimes individually wrapped morsels like Reese’s or Hershey’s Kisses or miniatures, but most often it’s M&M’s – plain or peanut. Barb doesn’t care how much we eat. “That keeps me from eating all of them,” she says. At my appointment last Saturday there were lots of large green M&M’s in the tin. I ate one, the first of several. The cool taste of mint, followed by chocolate, filled my head. Like Proust’s madeleine, it caused a flood of memories. My first wife loved Baskin-Robins Mint Chocolate Chip Ice Cream. 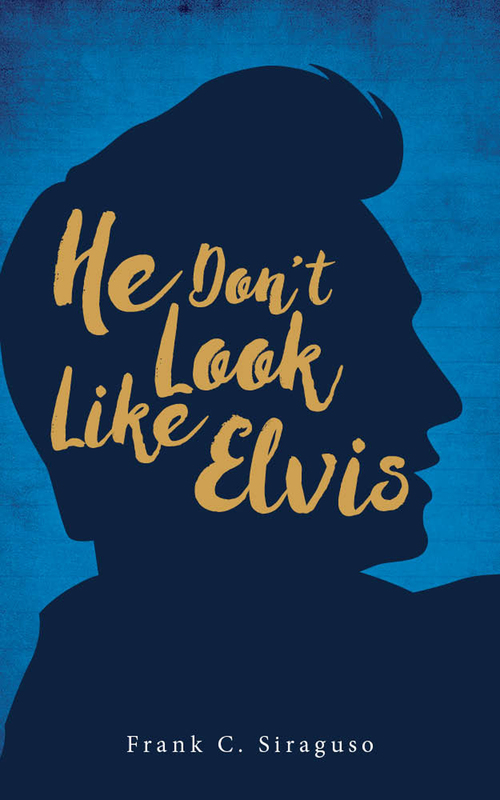 Absolutely loved it. In a cone or hand-packed. Because she loved it so much, I tolerated it but never came to actually love it. Every chance I got, I would get a cone of plain old chocolate and Jamoca Almond Fudge. I may have issues with how mint goes with chocolate, but it’s really great with bourbon. I grow my own mint for mint juleps. On a hot summer’s day there’s nothing to beat the heat like a good julep, unless it’s a good julep and a good joint. 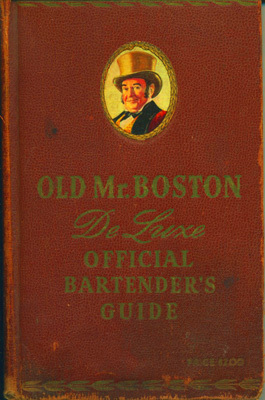 There are many different versions of mint julep recipes, but mine comes from my dad’s Old Mr. Boston De Luxe Official Bartender’s Guide, 1955 edition. One thing you need for a good mint julep is crushed ice, like in a snow cone. Years ago, preparing to make a batch of mint juleps, I went to the City Ice House at 22nd and Charlotte. What a place. You could get giant blocks of ice, or bags. I got the smallest bag of crushed ice they had, 45 pounds, for $3. It worked great. I only needed a small portion of that but what the hell. Left on the back stoop, it took about four days for the ice to completely melt. Also, you need sugar or simple syrup, made by dissolving enough sugar in a cup or two of boiling water to make it thick. And don’t even think about using high frucfuckingtose corn syrup. So. One tall glass full of crushed ice, with a straw; one long mint sprig in the glass for looks and aroma; and 2-4 ounces of your fave bourbon, with a teaspoon of sugar or syrup, poured over the ice. I like to rub a mint leaf or two between my fingers and add to the bourbon. Sit back and cool off. 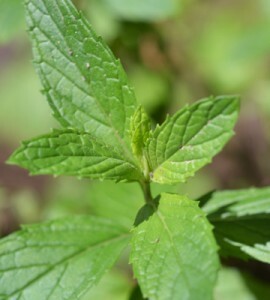 When I was a little kid, my dad’s dad, who was from a town near Palermo, Sicily, always had mint in his garden. I loved picking the leaves and eating them. I still do. My dad grew mint at our house, too. He used it in, among other things, his barbecue sauce and amogio sauce, a Sicilian marinade made from vinegar, olive oil and other stuff I can’t tell you because, well, you know. He used amogio sauce on steaks. It was great. Whenever dad was grilling or barbecuing, he’d use a handful of mint sprigs as a brush for amogio or barbecue sauce. When I was in grade and high school, Sunday nights were depressing. If I didn’t have my homework finished, there was that. Either way, the weekend was all but over. Later, I would call this SNS, or Sunday night syndrome. My dad was a bartender. He had tended bar since the end of Prohibition, and he knew his stuff. He also usually cooked Sunday dinner. Sometimes, when the stars were right, he would make grasshoppers for all of us – mom, me, my sister and himself. It’s a frou-frou drink, but dad made great grasshoppers. He put vanilla ice cream in a blender, added several ounces of creme de menthe, and whipped it up. (Sometimes he would make us a gold Cadillac the same way, except those have Galliano and creme de cacao.) After a couple of grasshoppers Sundays weren’t so bad. These little rectangular mints, a mainstay at restaurant checkout counters, are the only mint-chocolate combination I really like. Don’t ask me why. You can still get this soap. The label is replete with the doctor’s theosophical writings, a la paintings by Howard Finster. Suffice to say it’ll keep you busy reading for a spell. Debbie, a friend of mine, loved to first shower with Dr. Bronner’s Peppermint Soap and then drink a few mint juleps, to get the “total mint experience.” Yeah! Barb’s going on vacation for 5 or 6 weeks, and I did my best to empty out the tin, mint or not. We don’t want stale chocolate. When she gets back, I may bring a big bag of some kind of mixed dark and milk chocolate. For now, she’s heading to Boston and either Martha’s Vineyard or Nantucket. We didn’t make up with any limericks.